As a locally owned and operated business, the team here at Naturally Green Lawn Care knows firsthand just how special the New Haven, CT community is. We love how much there is to do, see, and experience here all year round; however, the holiday season brings its unique blend of New Haven magic. If you're from the area, you've probably already spied some of the telltale signs of the holiday season popping up throughout the city – and it's only just beginning. New Haven will host a jam-packed lineup of festivities from now until New Year's Eve. Get ready to mark your calendars; whether you're a local or planning a trip to the area in the next few weeks, you will want to take note of the many family-friendly holiday events in New Haven to help you and your loved ones get into the spirit. CT Lasers hosts New Haven's Holiday Laser Light Shows on Broadway Island every Friday and Saturday throughout December. The shows run every 30 minutes from 5:00-7:00 pm. Laser lights are projected onto buildings in the area and are choreographed to fun, festive music, making this a must-see event for all ages. Come enjoy a special story time session with Santa at Yale Bookstore on Saturdays in December. Listen to holiday stories, enjoy a delicious treat, and have your face painted to commemorate the day. 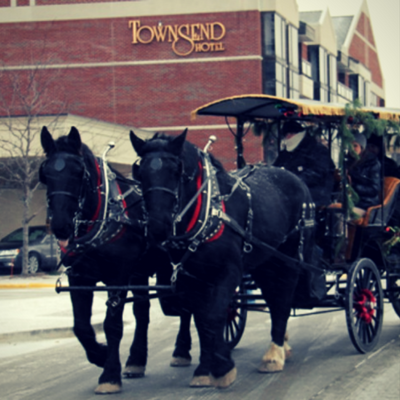 Enjoy a scenic tour through downtown New Haven on a free horse and carriage ride between the hours of 12:00-4:00 pm. Pick-up/drop-off is on the Corner of College & Chapel Streets on College Street and at the corner of York Street and Elm Street. Come celebrate the season with NHSO Pops conductor Chelsea Tipton. The show kicks off at 7:30 pm and features a musical medley of holiday favorites. New Haven's Lighthouse Park boasts over 100,000 bulbs as part of the city's Fantasy of Lights celebration. 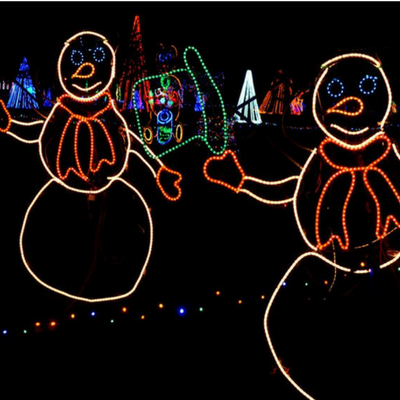 Gather up your crew into the family car to drive through over 60 animated light displays. It's the perfect way to get into the spirit of the season and begin a new holiday tradition with loved ones. Happy Holidays from Naturally Green Lawn Care family to yours! Contact us today to learn more about how you can get a head start on your lawn care needs for 2018.